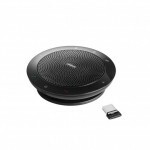 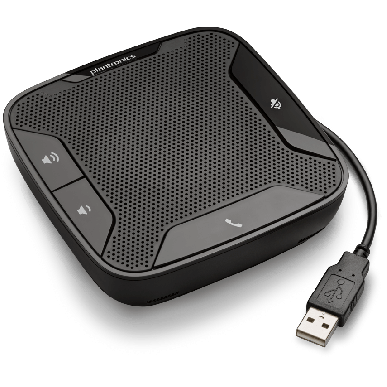 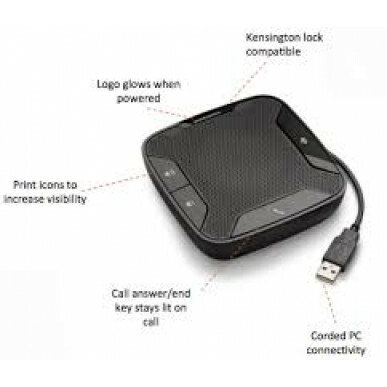 The Plantronics Calisto 610 Corded USB Speakerphone, (also known as the P610-M), is a small speaker suitable for use with PC/laptop via USB cable. 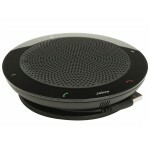 It's suitable for small meetings with 2 or 3 people gathered around. 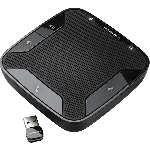 This version of the Calisto P610 is Lync & Skype for Business Certified.